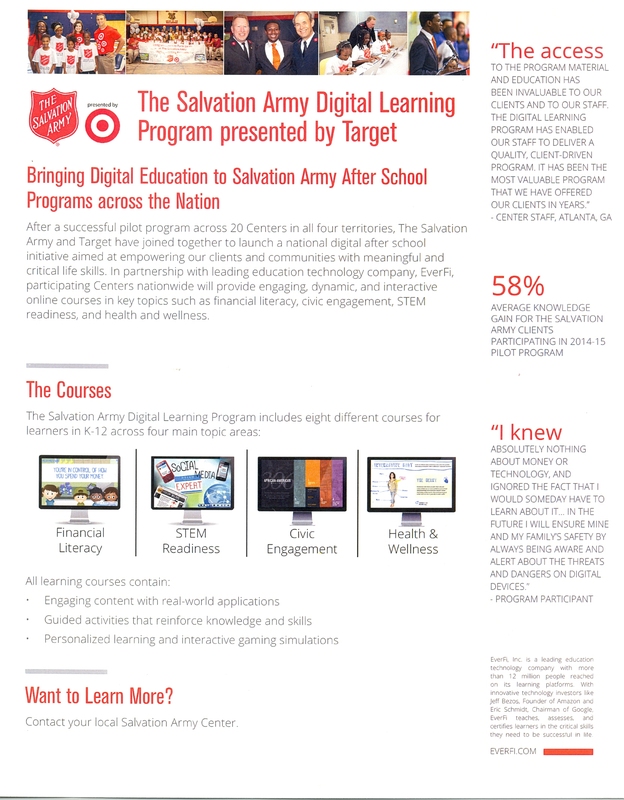 We are excited for the launch of The Salvation Army Digital Learning Program presented by Target. Classes will start soon and will be part of our existing after school programs. Tuesdays will be reserved for children ages 6-12. 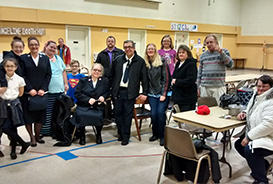 This program will also become an integral component of our Bridging the Gap program as well. For more info, click on the flyer to the leftt or call us at 413-442-0624. 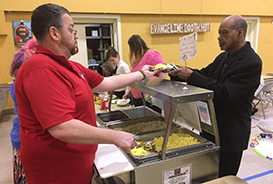 The Salvation Army is a non-profit organization wholly funded by private and public donations. 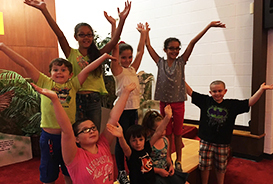 Your gift, of any amount, is needed to support our important community programs. Please take this opportunity to make a donation now to help those in Pittsfield who are in need. Your gift is tax-deductible to the extent provided by law. Thank you!